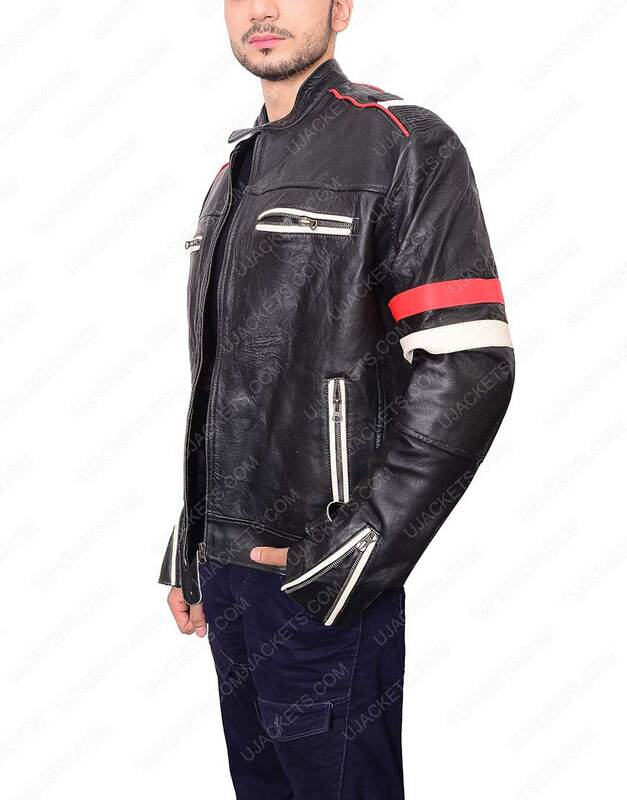 Get entrancing smart presence with the Mens Cafe Racer White and Red Stripes Jacket that is perfectly tailored with intrigued designing and fabrication that speaks volume for its meticulous artistry. 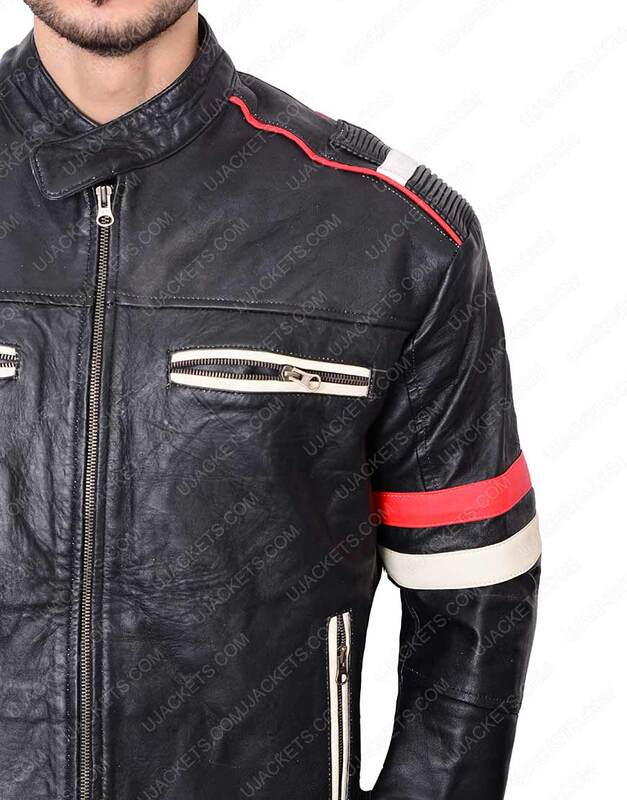 It is precisely made for those aficionados who always likes to stay on top of the trending fashion. 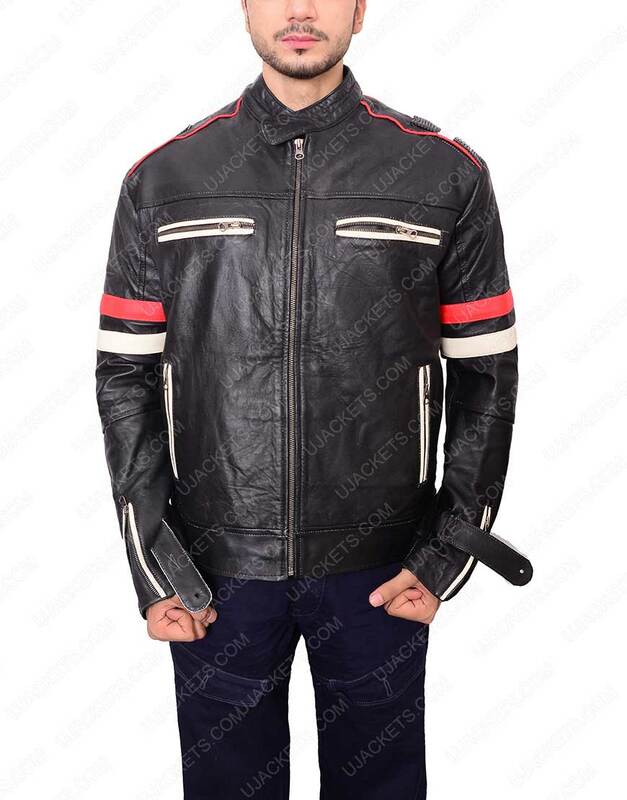 It is deliberately made from the quality genuine/faux leather material and skilfully unified with the inside viscose lining for comfy wearing. 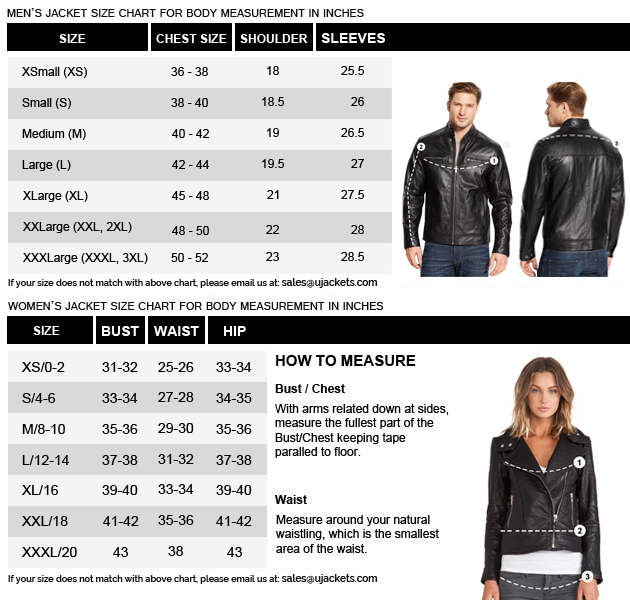 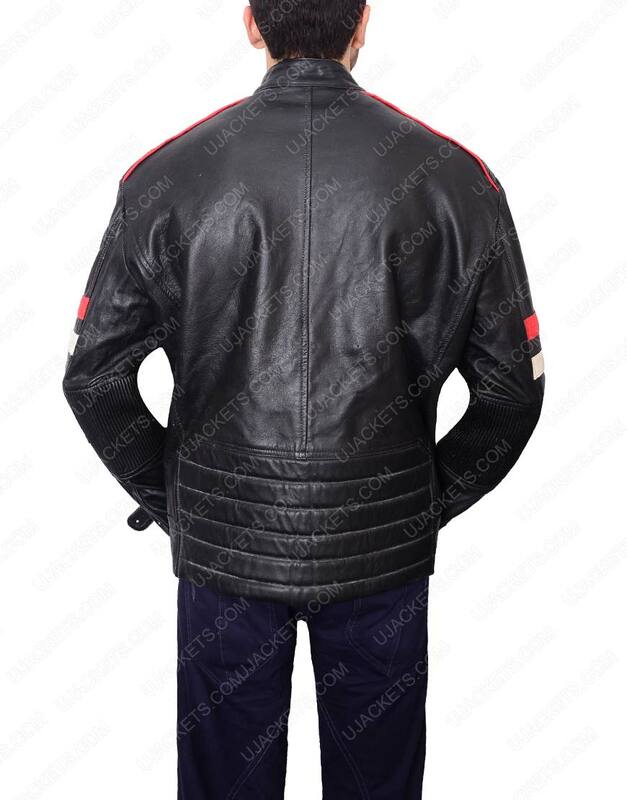 This Mens Café Racer Jacket has been embellished with the trendy snap tab collar on its neckline, and has been fastened with the full zipper conclusion on its frontage for imitating cognate smart appearance which you have always dreamed to take on.